Kenneth Mitchell is currently starring as Kol, Klingon house leader, on the new Star Trek Discovery series on CBS/CBS All Access/Netflix. 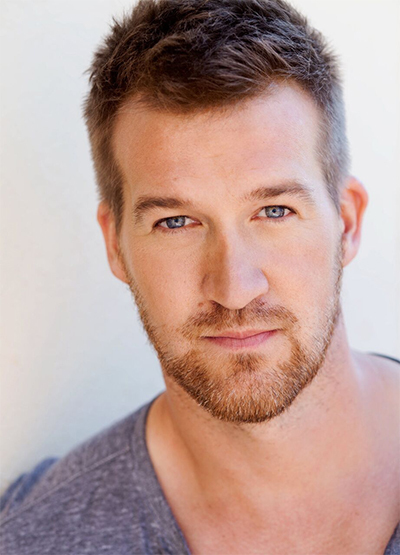 Kenneth Mitchell’s talents have been utilized in some of television’s most premiere dramas, including a starring role as Eric Green in the iconic series Jericho on CBS. Also, Mitchell portrayed the Mercury Seven astronaut Deke Slayton on the ABC series The Astronaut Wives Club. His many recurring roles include playing Deacon Joe Hurley on The CW’s Frequency, Detective Matthews on ABC’s Notorious, and Wes Gable on the ABC Family drama Switched at Birth. Mitchell has made distinctive guest appearances on shows including CSI, NCIS, Code Black, CSI: Cyber, CSI Miami, Major Crimes, Grey’s Anatomy, Criminal Minds, Bones, Law & Order, Private Practice, Castle, The Mentalist, Grimm, NCIS: Los Angeles, Hawaii 5-0, and Ghost Whisperer. Born in Toronto, Canada, Mitchell landed his first major role in the Showtime movie Charms for the Easy Life, co-starring alongside Gena Rowlands. This led to two leading roles in the Showtime series Odyssey 5 and Leap Years. In 2004, Mitchell received strong recognition for his starring role as Ralph Cox in the classic Disney sports film, Miracle, opposite Kurt Russell and directed by Gavin O’Connor. Also, Mitchell has lent his leading talents to films such as Touchstone Pictures’ The Recruit, with Al Pacino and directed by Roger Donaldson, the independent features Blood Honey and Tennis Anyone, as well as the television features Iron Road, Tasmanian Devil, and Home of the Giants. Currently, Mitchell resides in Studio City, California, with his wife, Susan May Pratt, and two children, Lilah and Kallum.